Thank you for your willingness, but please get married first, then reapply for the leadership position. And should you be divorced or subsequently get a divorce, any previously demonstrated depth, knowledge, and experience immediately disappears. Per the rules of the game of Monopoly, do not pass “Go.” Do not collect $200. Go directly to church jail. You are no longer qualified. Okay, I’m exaggerating a bit. But not much. Granted, there are situations that may preclude a divorcee from holding certain church positions (please reference I Timothy 3). However, that is a separate discussion. 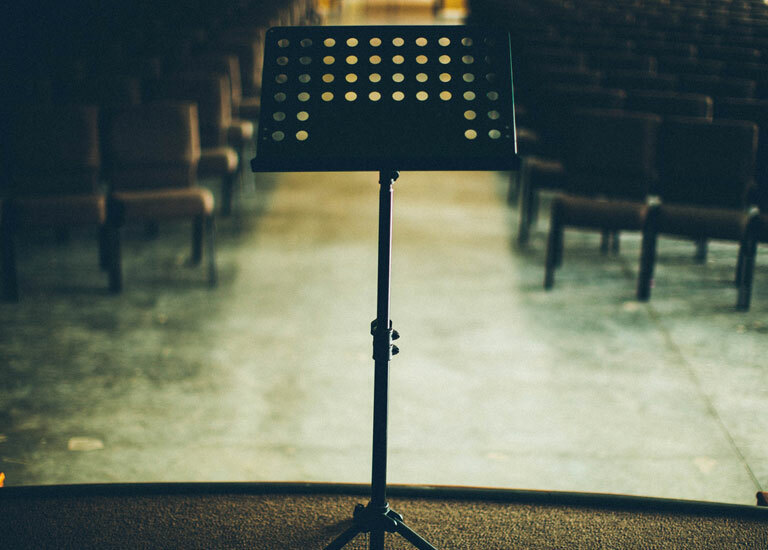 Here we want to address a lingering perception that, even with similar credentials, a single person faces more challenges to leading a ministry than does a married person. Here are three of the more obvious challenges. If You’re Single, What Possible Life Experience Can You Share? Most single adults have learned to become self-sufficient. Out of necessity, guys learn to cook and iron while gals learn about car maintenance and yard work. Of course, it isn’t what we prefer, but learning typically-gender-stereotyped cross-over skills provides a significant advantage for marriage. But until then, broadening our life skills is always beneficial. Most single adults have learned how to sacrifice. It takes a special discipline to manage the usual living expenses on one income instead of two. And for the divorcee, sometimes it requires an extra level of sacrifice to continue paying your bills while additionally paying child support and/or alimony on the same income. Sacrifices are the norm. PB&J sandwiches. Lowering the thermostat. Avoiding things you previously did and places you previously went. Most single adults have learned to face life alone. Unless we have a support group of other singles where we coordinate social calendars, we’re on our own. We go to the grocery store — alone. Shopping — alone. Run errands — alone. Exercise — alone. Maintain a home — alone. Visit the doctor — alone. Face life crises — alone. Don’t get me wrong, there is something very energizing in “alone” time. But it takes courage and strength of character to walk life’s journey alone. This should drive us to a deeper, more intimate relationship with God. In that place of quiet, undisturbed close fellowship, we glean truths that may be unheard by our married counterparts. If You’re Divorced, How Can You Lead Since You Failed Previously? Marriages don’t fail; people do. As humans we are prone to mistakes and subsequent failure. But Scripture identifies many people who rose above their past failures. David rose above adultery to lead his nation. Paul rose above murder to lead countless people to Christ while also establishing numerous churches. Peter rose above betrayal to become an influential leader of the first-century church. But, Nate, don’t you know God hates divorce? Yes, I’ve read Malachi 2:16. But I’m also aware of other things God hates. Pride, lying, murder, hearts that devise wicked schemes, feet that quickly run to the pigpen of sin, a false witness, and gossiping busy bodies (Proverbs 6:16-19). Aside from marginalizing divorcees, it appears God hates sin. All sin. Period. And no one is exempt. If sinning disqualifies from serving God, we’d have to ignore quite a few biblical authors. Yes, underlying reasons for divorce factor into leadership potential. No matter which spouse is primarily at fault, divorce involves two imperfect people with sufficient blame to go around. But identifying the proper percentage of blame isn’t the goal. The goal is to recognize, accept and learn from your part in the marriage failure. See, the ultimate failure isn’t in falling — it is in not rising above that failure. Proverbs 24:16 says a righteous person falls seven times but rises again. Is that a “Get Out of Jail Free” card that condones or encourages divorce? Absolutely not. As Paul explains in Romans 6, God’s forgiveness and grace are not license for ongoing or presumptuous sin. If you did everything possible to reconcile the marriage and/or have repented from your contribution to the marriage failure, I suspect you’ve gained a new perspective that could be well-served in a ministry leadership position. Over the years, I’ve seen God purify many people through the refining fire of divorce — I see one every day in my mirror. It can be a humbling experience that brings new perspectives on friendships, relationships, repentance, and a deeper intimacy with God. All of which are valuable assets to any leader. I meet very few single adults who haven’t prayed, “God, if you would just bring me my helpmate, I would be less vulnerable to sin and more effective in ministry.” We rationalize it in numerous ways. But the bare, bold truth is that everyone (single or married) is vulnerable to sin. We have an actively engaged enemy who strategically tries to trip up each person (I Peter 5:8). We also carry around our own weights and “pet sins” that are designed to make us fail (Hebrews 12:1). This sinful vulnerability should motivate me to daily: Deny myself and carry my cross (Mark 8:34), put on God’s full armor (Ephesians 6:11-18), and snuggle up so close to God that I can hear His heartbeat (James 4:8). If you are single and have the skills and calling to ministry leadership, wade on in! Recognize these challenges, but don’t let them deter you. Take the comfort God has given you and comfort others (II Corinthians 1:4). Share what you have learned from your single and/or divorced experience to train, equip and build up the Body of Christ (Ephesians 4:12). God can use your brokenness and pain for His honor and glory. In Him, you have everything you need to successfully serve in whatever ministry opportunity He provides. This article was originally published on Single Matters on 9 April 2015.